One of the most influential make up artists in the world, Rae Morris has written the book on beauty (in fact, she’s written several of them…) Having perfected endless famous faces, she turned her hand to creating the most luxurious and effective brushes money can buy – and the results will change the way you apply make up forever. 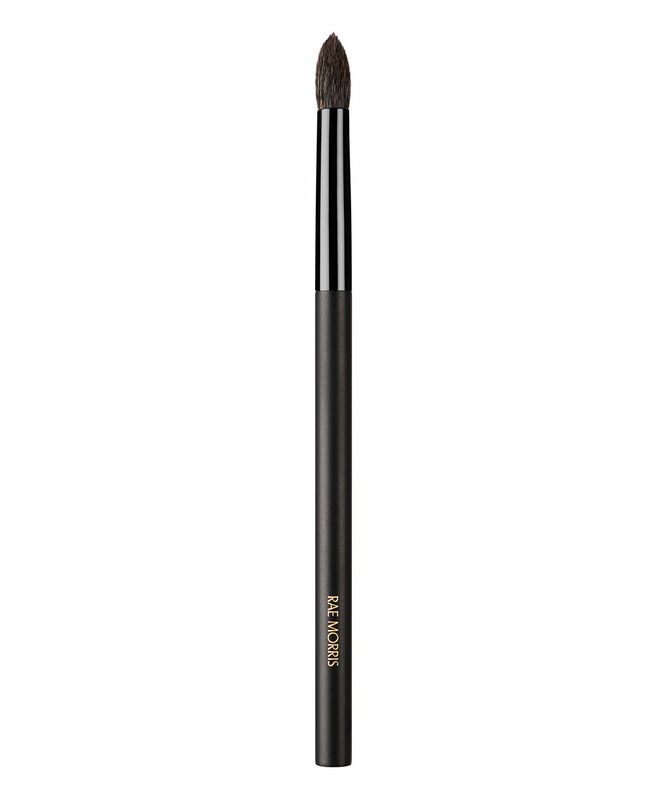 This shading brush is perfect for applying and blending eyeshadow. Meticulously crafted by Japanese artisans, the brush features a precise yet supremely soft tapered head, a super-sleek handle and the brand’s world-first magnetic storage functionality (‘Jishaku’ means magnet in Japanese) for seamless storage and perfect hygiene. From its supremely soft head to its ultra-sleek handle, Rae Morris’ Jishaku brush range will change the way you apply make up forever. Combining the finest Japanese brush-making techniques and Rae Morris’ make up application expertise, this range is the culmination of years of testing and perfecting. 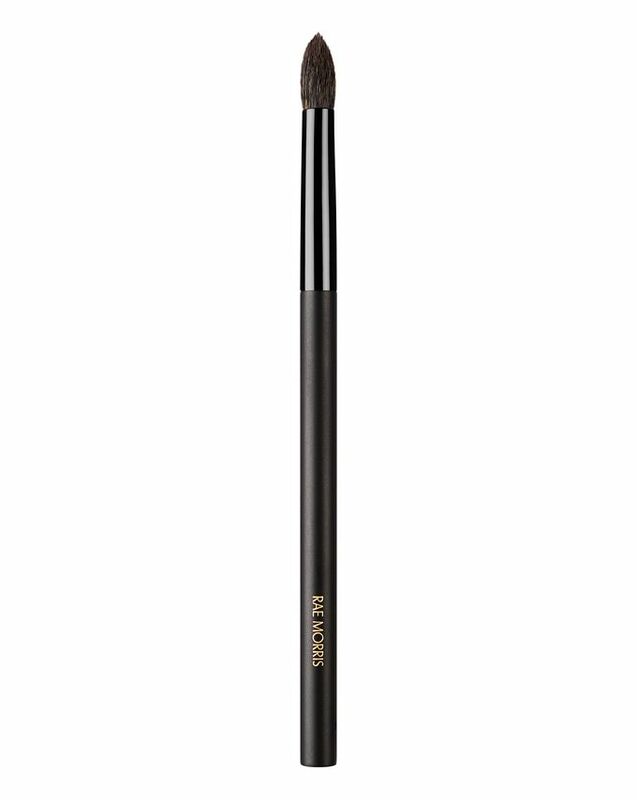 The Jishaku #8: Medium Point Shader is an essential eye brush to have in your arsenal; it’s great for blending eyeshadow on lids and applying a darker colour and blending it into your base shade. The medium, subtly tapered head is meticulously crafted from the highest-grade grey squirrel hair by Japanese artisans (animal cruelty-free and deemed the ‘softest I’ve ever had’ by a discerning Into The Gloss reviewer) while the super-sleek black handle is formed from hard maple and cherry wood. Another standout feature is the brand’s world-first magnetic functionality (‘Jishaku’ means magnet in Japanese) which means that the brushes can stand upright on any surface a magnet will hold to – including Rae Morris’ custom designed magnetic stands – making for seamless storage, ultimate organisation and perfect hygiene. For seamless, smouldering eye looks, look no further. Use to blend eyeshadow. Especially good when blending a darker colour into your base shade. Wow - this brush has shot to the top of my favourites’ list. The brush is so soft - something that is very important for me, as I have very sensitive skin - and extremely sensitive eyes. As for the tip, it’s so fine, it is perfect for so many different things when it comes to eyeshadow looks. This brush is a great investment and it will really up your eyeshadow application. This brush is very very soft as it is made of grey squirrel hair, which is supposed to be the softest natural hair type for brushes. The shape of the brush makes it very precise, and it is hard to find brushes of this shape in general. It is excellent for building the intensity on the outer corner of the eye, and it can be used as a pencil brush if you use only the tip of the brush. The brush has the number 8 carved on it, so it won't ever fade and it is very high quality. It is also quite light and that is on purpose; Rae Morris has explained you can feel the face better this way. The brush gives off the Japanese craftsmanship and in my opinion, it is worth the price tag. Tapers to a point even after washing it. The picture does not show how fine the tip is. The brush is very soft and I have yet to feel any scratchy bits. It is amazing to deposit and blend. I tilt the brush to the side and stamp it on the eyeshadow and then my eyelids to get the out 'C' or 'V' shape. Then blend the colour up to create a crease. It deposits a fairly good amount of product which means I see the colour on my lids but it is not so crazy that I have to wipe off excess eyeshadow.